Alumni in Brussels are invited to the launch to the launch of the West Midlands Alumni Brussels Network on Tuesday 19th April. 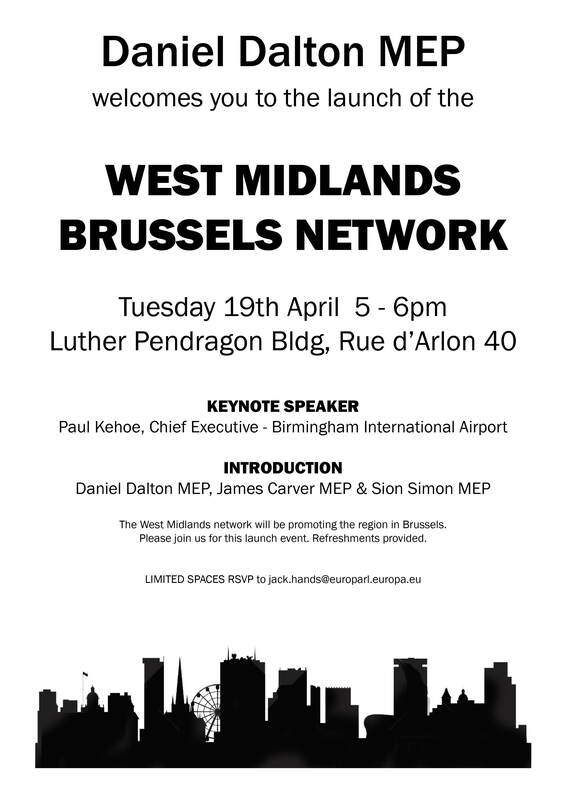 The idea is to build up a network of Brussels-based policy makers, advisers, politicians, lobbyists, business leaders and any major stakeholder in order to collectively promote the West Midlands. To kick-start this new initiative, Warwick alumnus Daniel Dalton MEP is holding a launch event in Brussels. Please find details here.